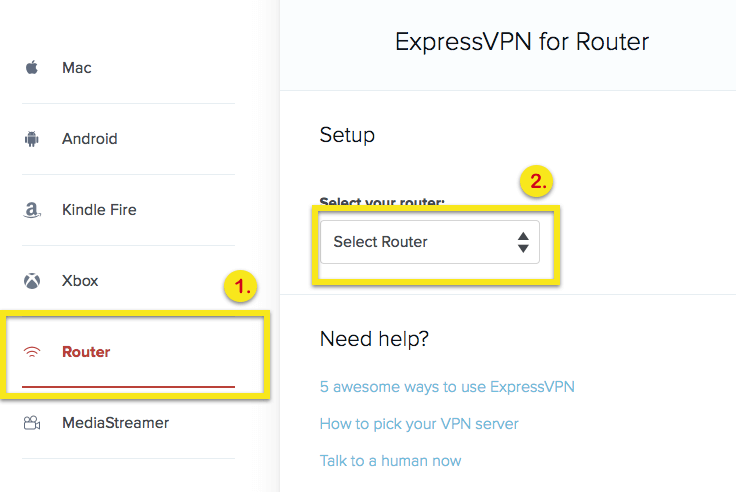 If you already have a Linksys router at home, you can set up the ExpressVPN app for routers to add a layer of security and privacy to your browsing. If you purchased an above router via FlashRouters, please see the setup steps here. If you purchased an above router from a source other than FlashRouters and have not set it up, please see the setup steps for the WRT1200, WRT1900, WRT3200, or EA6200. If you use a different router, please try the manual router setup steps. ClickSet Up on More Devices. Select Router on the left and your Linksys router model on the right-side drop down. Click Download Firmware. You should also copy or make a note of your activation code as you’ll need to enter it during setup later. 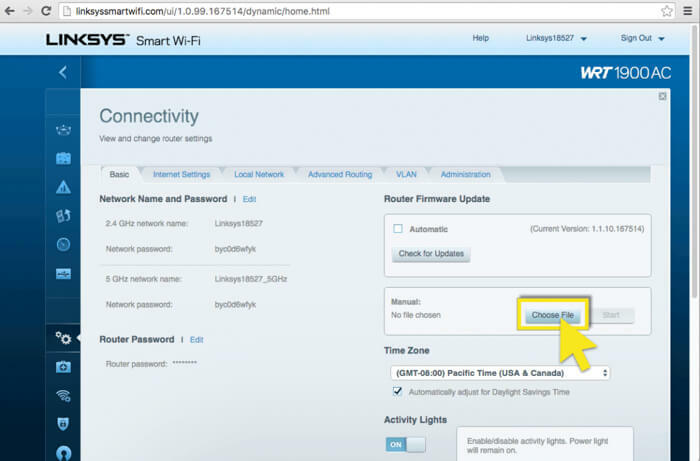 Before proceeding, make sure your Linksys router is correctly set up and connected to the internet. 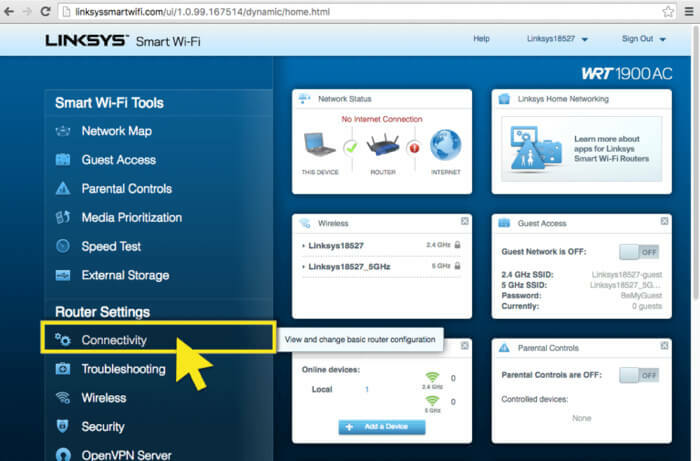 Sign in to your router admin panel at www.linksyssmartwifi.com. Enter the username “admin” then click Sign In. Under Router Firmware Update – Manual, click Choose File and upload the ExpressVPN firmware you just downloaded. Click Start and follow instructions to perform the initiate update. Your router will restart during this process. 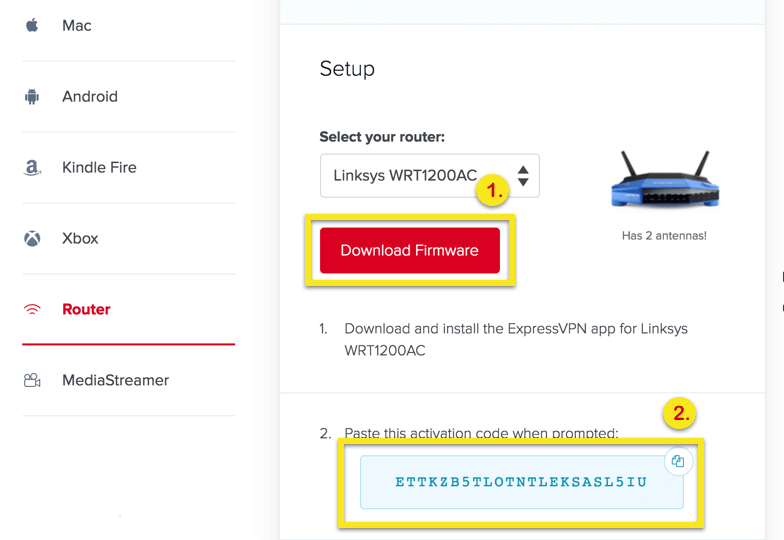 Note: If you modified your Wi-Fi network’s name and password from the default settings at any time after setting up your Linksys router, then installing the ExpressVPN app will reset both your network name and password. Therefore, after installing the ExpressVPN app, your Wi-Fi network name will be LinksysXXXXX. You can find the password on the sticker at the bottom of your router. Connect to your router’s Wi-Fi or by cable then go to www.expressvpnrouter.com. Sign in using the 8-digit number under the router’s serial code, without the “-“. This can be found on the white sticker at the bottom of the router. 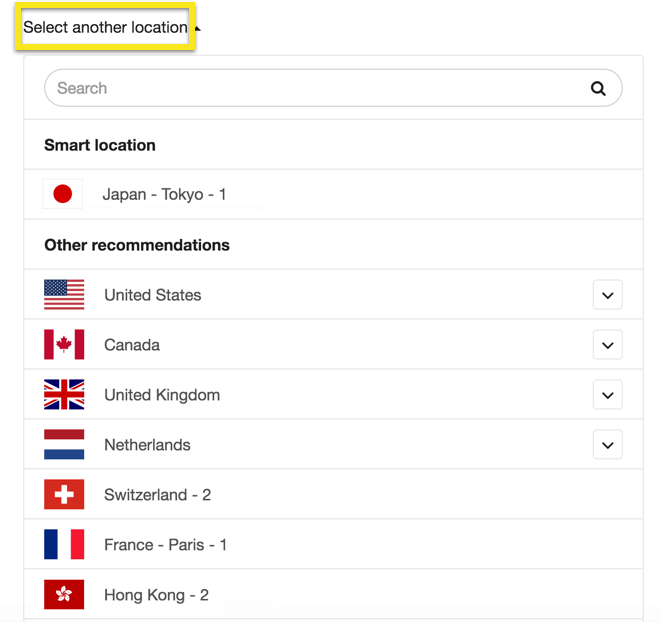 Paste your ExpressVPN activation code then connect to a VPN location.